Today we focused on Olympic feats! We were challenged to use the following in our layout: A title, circles, 4 colors, wood or wood grain elements and numbers in our journaling. 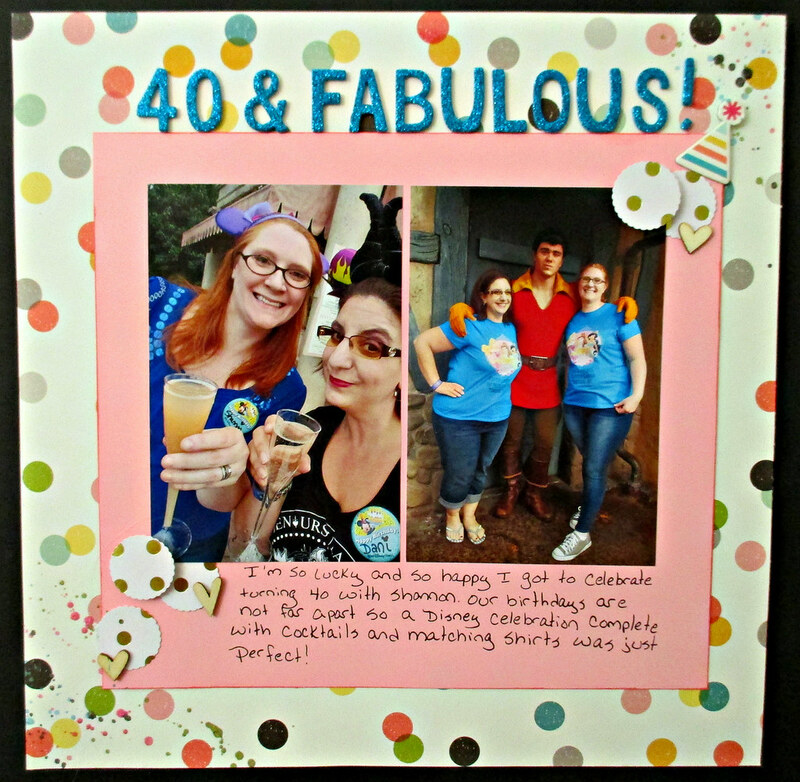 I created this page of me and my friend celebrating our 40th birthday – I took some liberties with some of the items on our list but I think I did pretty good. Check out today’s video by Clicking Here!